Yala Peak climbing is one of the easiest and popular adventurous trip in Langtang region. Yala peak is a part of the Langtang Himal. This peak lies very close just to the north of the capital city Kathmandu in the Langtang region. It is the most popular and easily accessible trail from Kathmandu by road. Yala Peak Climbing is a 15-day journey and it involves trekking in the Langtang valley. Langtang valley is also known as the valley of glaciers. The best time for the Yala Peak Climbing would be the autumn season during the September, October, and November. The second best time would be the spring season during March, April, and May. 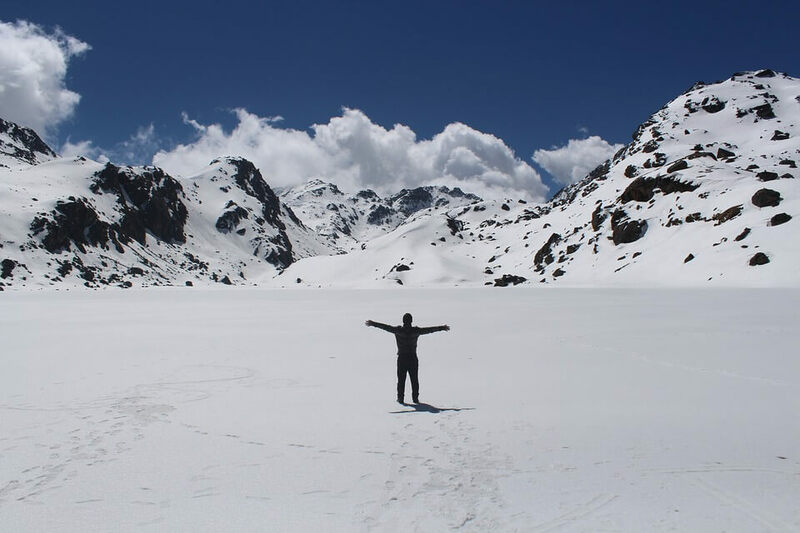 However, if you love winter, then you can also do trekking from December to February. So just be ready to be overwhelmed with the magnificent view of Shishapangma (8,046 m) and Gangchempo (6,388 m). Since the Yala Peak Climbing is non-technical, prior trekking experience is not required. Although, if you’ve outdoor experience such as using crampons, ice axe, and rope it would be a plus point. Also, you need to be a physically fit. I’ll assure you that Yala Peak climbing in the Langtang region will give you personal satisfaction with great rewards. This peak climbing is one of the best options to have a climbing experience in short duration in the Himalayas of Nepal. Our representative will receive you from Tribhuvan International Airport, Kathmandu. After that, you'll transfer to your respective hotel in our private vehicle. You can take a rest for the day. In the evening, join our welcome dinner program organized by Himalayan on Foot team. On the second day, you'll prepare for Yala Peak Climb. Your tour guide will check your trekking equipment and give the detailed brief on the trek. He/She will share all the required information regarding trekking. If you don't bring some necessary trekking equipment then you can purchase. If time permits you can explore the city and interact with the guide and fellow members. On the third day, after having hot breakfast you'll leave for Syabru Besi. On this 8 hours scenic drive you'll witness some beautiful landscape and quite a few rivers. You will reach Syabrubesi, the starting point of the trek. This small beautiful is inhabited by Tamang ethnic communities. The rest of time you can explore the village. You'll spend your night at Syabru Besi. On the fourth day, the trek starts with an ascent via rhododendron and bamboo forests following Langtang River. After crossing a bridge over the Langtang River you will ascend on a steep trail and lead you to the Lama Hotel. On the fifth day, after having your breakfast you'll continue your trek via ascending from Lama Hotel. On the way, you'll enjoy beautiful mountain landscape with towering waterfalls. As you reach the Ghora Tabela, you'll begin to see the white snow-capped peaks of Langtang range. Also, you'll pass a Buddhist monastery before reaching the Langtang village. As soon you reach the village you'll see the flat-roofed Tibetan style house. This valley is surrounded by stone wall enclosed fields where potatoes, wheat, turnips, and barley are planted. You'll rest here for tonight. On the sixth day, trails ascend gradually crossing several small streams with wooden cantilever bridges. After walking about 3-4 hours you'll reach Kyanjin Gompa by the lunchtime. Here you can visit a small monastery and government-operated cheese factory. You'll rest here for tonight. At this point, you'll be surrounded by a jaw-dropping panoramic view of snow-capped peaks. On the seventh day, you'll rest in Kyanjin Gompa. It stands as an appropriate place for acclimatization. Today you can also explore the rest of the place in Kyanjin Gompa. From Kyanjin village you can see the dramatic ice-fall flowing from the peaks of Langtang Lirung and Kim Hung. On the eighth day, you'll start your trek early in the morning. 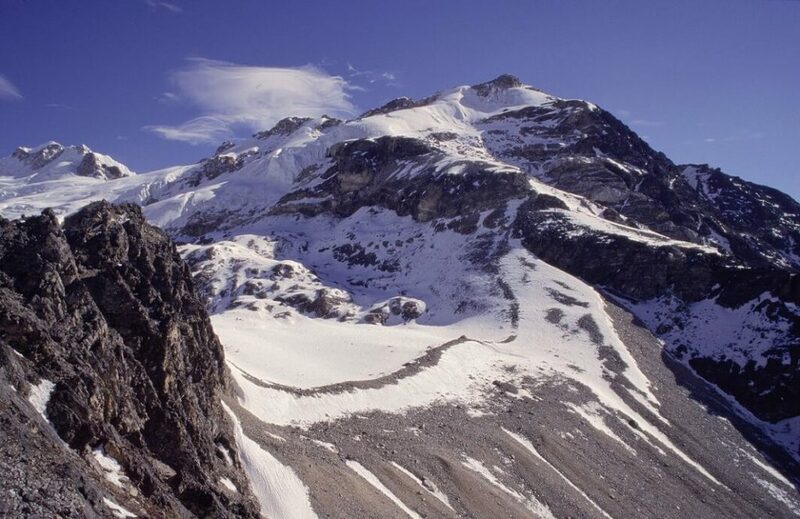 You'll head up the trail that goes over the glacier and ascend gradually to the base camp. 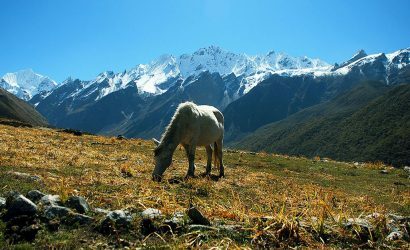 On the way to the base camp, you'll get an amazing view of Yala Peak, Langtang Lirung, and other surrounding high peaks. Once we reach the camp, we'll quickly set up our camps and check your health condition. After that, our tour guide will conduct a basic climbing training. Here you get an opportunity to learn how to use climbing gears such as ropes, crampon, and ice axe. You'll rest the night at the base camp. The ninth day is the main and challenging day of your trek as you'll summit to Yala Peak. You'll start an early climbing with our crew members. As the trail might be tricky with the help of the ropes and ice axe you'll reach the summit of Yala. From the summit, you'll get the jaw-dropping views of Shishapangma, Tserko Ri, and Langtang Lirung. After the summit, you'll retrace back to base camp before it gets too dark. Once again you'll rest the night at the camp. In case of unfavorable weather condition, we've to keep an extra day as the spare day. As you know that the weather can be unpredictable in this high Himalayan range. So an extra day is essential for this type of adventure trip. If everything goes well then this day will not be uncounted. On this day, you'll leave Yala Base Camp and continue your descent along the same path to Kyanjin Gompa. This route offers marvellous views of massif Himalaya peaks. Enjoying these panoramic mountain vistas you'll reach Kyanjin Gompa. You'll rest here for tonight. On this day, you'll have your breakfast and retrace your steps toward the same route. 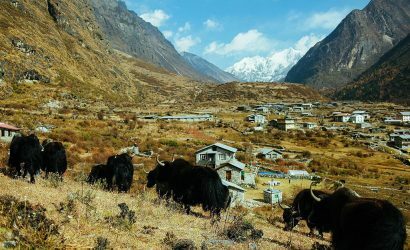 You'll make an easy going descent through Langtang village and Ghore tabela to Lama Hotel. You'll spend your night at Lama Hotel. On this day, you'll trek down to Syabru Besi. Today is the final day of the trek, you'll come across through several traditional villages. You'll continue down to the main trail that descends all the way and reaches Syabrubesi. You'll spend your night at Syabrubesi. On this day, after having your breakfast you'll drive back to Kathmandu. The bus ride will take about 7 to 8 hours and reach Kathmandu. Rest of the time you can enjoy the free time at Kathmandu. You can go shopping or buy some souvenirs for your close one. In the evening, you'll enjoy the farewell dinner in one of the best cultural restaurants. This is your last day in Nepal. Our representative will transfer you to the International Airport and help you get on board. This trip can be customized as per your need. Tell us about your requirements and what you expect from the trip, and we will help you design a trip with comfortable itinerary to best meet your needs.